One of the first things one notices when walking into Waterman's is the beautiful works of art that hang on our walls year-round. We take pride in displaying work from artists within and beyond our shores. 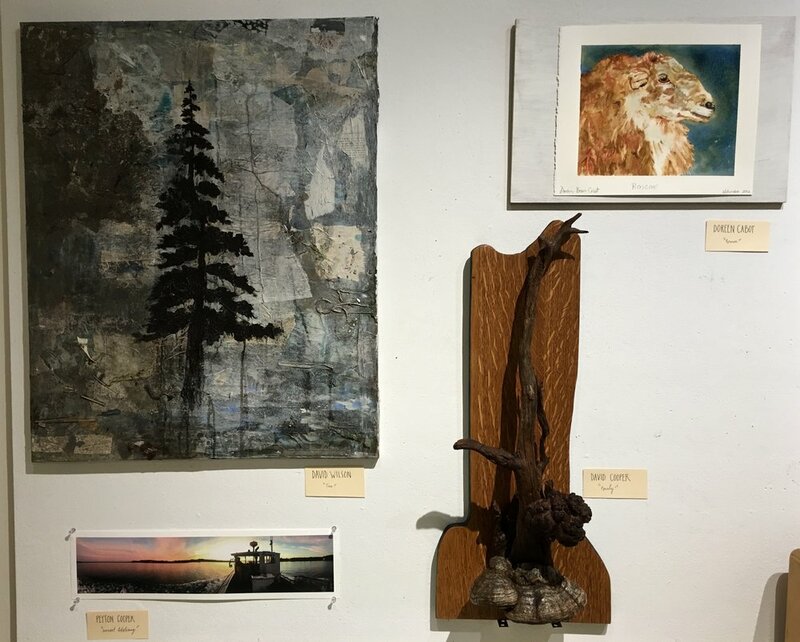 In addition to our wonderful visiting artists, we hold annual silent auctions, exhibits by North Haven Community School students, pop-up boutiques and the Red Barn Flower Show. Every year, Waterman's invites community members to participate in our Silent Auction Fundraiser. It is a great chance to give yourself a creative challenge, make a little money (or spend a little money! ), and support Waterman's Community Center! Each year has its own theme, whether it be the number 5 in honor of our fifth year or altered books for our Summer of Stories, and restrictions that go along with it. We hope that you will join our next auction! Each summer our flower show committee takes over the red barn for a weekend of fun, festivities, and, of course, flowers! With entry options from miniature to grand bouquet, there is a place for everyone at the table. Click here to see our guidelines from 2017 and get started planning your entry today. Waterman's has two large homasote boards measuring 4x8 feet and one small homasote board measuring 4x4 feet. Pieces can also be hung from the crown molding along the ceiling and upon the walls. If you are interested in exhibiting at Waterman's email programs@watermans.org or call us at 207.867.2100.